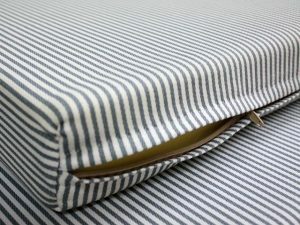 If the only thing separating you from your foam, memory foam, or latex mattress is a flimsy fitted sheet, then you might inadvertently be shortening the useful life of your bedding. Although foam and latex are highly durable and designed to last for many years, they can only achieve that lengthy lifespan with proper care—which is where a mattress cover comes in. For these reasons and many others a mattress cover is more of a must-have accessory than an optional one, so be sure to order yours at Foam By Mail today. We offer mattress covers in several styles and materials, and can even make covers for custom mattresses in nonstandard sizes. Visit our website now for more information or to make inquiries.